Egypt’s parliament has approved constitutional amendments, according to which President Abdul Fattah al-Sisi can rule in 2030. In 2022, Sisi had to leave power at the end of the second 4-year period. But due to the amendment, the referendum is to be made within 30 days; their recent term will increase to 6 years. And they will be allowed to stand in the election for another term. This amendment will give President Sisi a number of options on the judiciary and will ensure the role of the army in politics. In 2013, President Sisi had achieved the leadership of the army under the ongoing protest against the power of Egypt’s first elected democratic president Mohammed Morsi. According to human rights organizations, untrained efforts have been made to suppress anti-voices in their monitoring, resulting in thousands of people in prison. Abdel Fatah al-Sisi was selected for the first time in 2014 and was elected again after receiving 97 percent of the vote last year. They did not face any tough competition, because most of his potential rivals did not participate in the election or were arrested. Parliament also dominates the support of president Sisi, and opposition parties criticize him by saying that it works only for formal approval of his actions. Lawyer Mohammed Abu Hamed, who campaigned for constitutional amendments, told news agency AFP: Abdel Fatah al-Sisi was such president those important political, economic and security measures have been given to the reforms, despite the ongoing unrest in neighboring countries like Libya and Sudan. But Khaled Dawoud of the Liberal al-Dustour party dismissed it as ridiculous and told the BBC that these reforms show the attempt to capture power by President Sisi. Internet Monitor Net Block says that trying to restrict access to a camping website, which allegedly collected 25,000 signatures against the amendment; Egyptian authorities have partially closed or restricted 34,000 websites. How can President Stay in power till 2030? According to Article 140 of the Egyptian Constitution, which was approved by a referendum in 2014, the President has completed a 4-year period and can be selected only once. But, according to the amendments approved by MPs on Tuesday, the President’s power will increase to 6 years. 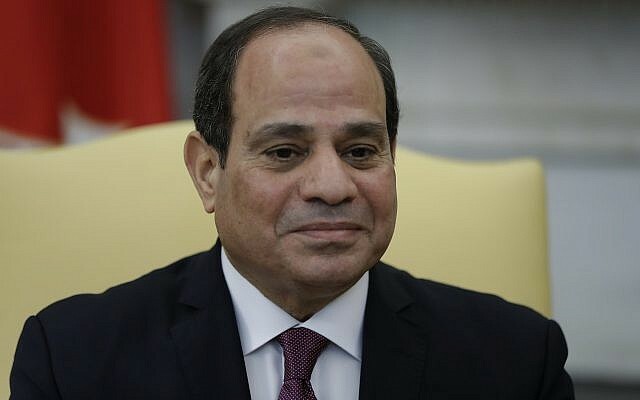 Under the interim arrangement described in Article 241, President Sisi will increase by 2 years in the current period and with this, it also allows them to stand for an additional 6 year period in 2024. The president will also be allowed to appoint one or two Vice Presidents. The post was removed after the 2012 Constitution. Army’s economic and urban activities have already expanded since becoming the president of the military option Sisi. They have the management of major infrastructure projects, and the public is occupied by the main positions in the government. Article 200 will be corrected to say that ensuring security and security of the country as well as the army’s duty to protect the constitution and democracy maintain the main pillars and public interests of the state and its urban style and protect the rights and freedoms of the citizens. However, Article 234 will ensure the role of the Supreme Council of the Armed Forces to ratify the Defense Minister. How will the judiciary affect? The amendments in Article 185, 189, and 193 will ensure that an executive body headed by Egyptian President will oversee the judiciary and will appoint the president to appoint appointments in the major courts. It also includes the Court of Cassation, Supreme Constitutional Court and public prosecutor. Amnesty International says it will weaken the judicial independence. The amendments in Article 190 will largely eliminate the authority of the State Council judges, under which they could revise legislation before legislation was made. Article 204 will be made to provide wide scope to military courts. After these changes, civil courts, military installations, factories, equipment, zones, boundaries and military personnel, besides any building that will be able to protect the army; will be prosecuted in civilian crimes. Thousands of civilians have been prosecuted in military courts since the year 2011. Will there be any change in the parliament? The lower house, which is also called by the House of Representatives, says the number of seats will be reduced from 596 to 450the new article will re-establish a house which were over in 2014. The President will choose one of the 180 members of the new Chamber, who will be known as Saint. The rest will be selected directly. Members of the House, which also say House representatives, say the number of seats will be reduced from 596 to 450. At least 25% of them will be specific to women.